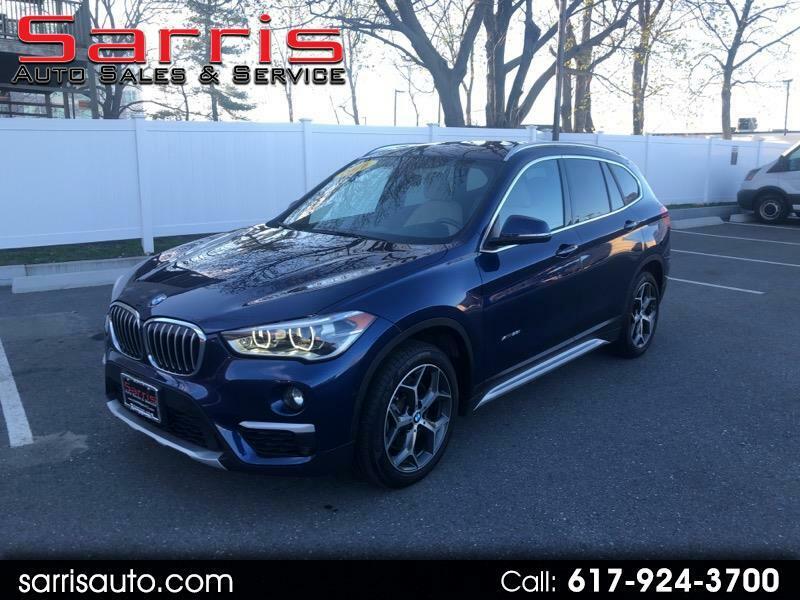 This is a 2016 BMW X1 xDrive28i in Mediterranean Blue Metallic with Oyster Dakota Leather and only 29,047 miles. It is a one owner with a clean Carfax. It has many options including, Cold Weather Package, Heated front seats, Heated Steering Wheel, Drivers Assistance Package, Rear view camera, Park Distance Control, Parking Assistant, Navigation System, Premium Package, Power Folding Mirrors, Universal garage-door opener, Comfort Access keyless entry, Panoramic moonroof, Auto-dimming drivers mirror, Auto-dimming rearview mirror, Lumbar support, Ambient Lighting, Led Headlights w/cornering, Satellite radio, Steptronic Automatic Transmission, Sport leather steering wheel, Runflat tires, 18" Alloy Wheel Y Spoke, Roof rails in Satin Aluminum, Matte Chrome Exterior Trim, Alarm System, Power tailgate, Black High-gloss Trim, Power Front Seats, Center armrest, Storage Package, Automatic climate control, BMW Online and BMW Apps, Advanced RTTI, Remote Services, Msport suspension, Anthracite headliner, All-season tires. Balance of a 4year/50,000 mile warranty. Warranty Description: Balance of a 4year/50,000 mile warranty.